Home / Advice / Sagging trousers; cool or trashy? Sagging trousers; cool or trashy? Recently I have been watching guys take this "fashion" craze too far! I can't walk a mile without seeing guys with their trousers below their waist! I wonder if they know where their waist is located! I decided to ask a male friend what he thinks about it and we got talking for long! Will tell you about it after the next paragraph! I like cool guys, i really do. I also like hanging out with them, but I still sometimes think they can be funny! 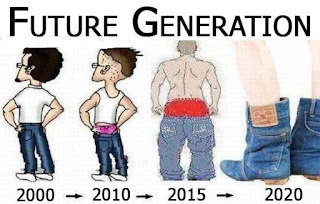 Especially those who are yet to locate their waists and decide to sag their trousers. “Can you please tell me what you feel like when you finish dressing up and decide to put on your trouser and belt below your waist? What is so attractive in that? 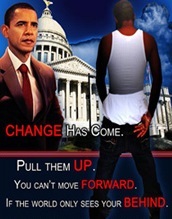 Do you even know what sagging is all about?" Lemme break it down a little. 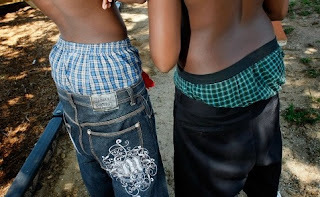 "sagging is a manner of wearing trousers or jeans which sag so that the top of the trousers or jeans are significantly below the waist, sometimes revealing much of the underwear. 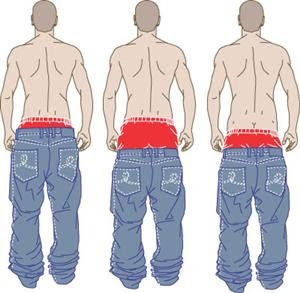 And a person wearing sagging trousers is sometimes called a sagger"
I did some little research about its origin and found out that the origin of the style is still unclear! Some would say it was adopted from the United States prison system where belts are sometimes prohibited to prevent prisoners from using them as weapons or committing suicide by hanging themselves, or simply due to the lack of appropriately sized clothing for some prisoners! Others will say it was popularized by hip-hop artists in the 1990s, it may have been a gang uniform worn in the mid to late 80's by the gangs of Southern California, or even a symbol of freedom and cultural awareness among some youths and a lot of other ideas! Whatever the definition or origin, I still think its inappropriate walking about on the streets with your trousers low! 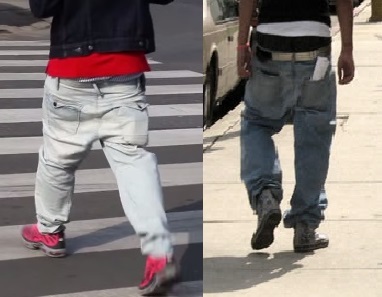 Some cities and schools have banned sagging trousers, but the craze is getting more bizarre! Soon, there will be no need for trousers! Well, back to the discussion with my friend! - Having to reach down and pull up their trouser every two steps they take while walking is a good exercise so they are probably working on their arm muscles! Seriously? have we run out of fitness centers? 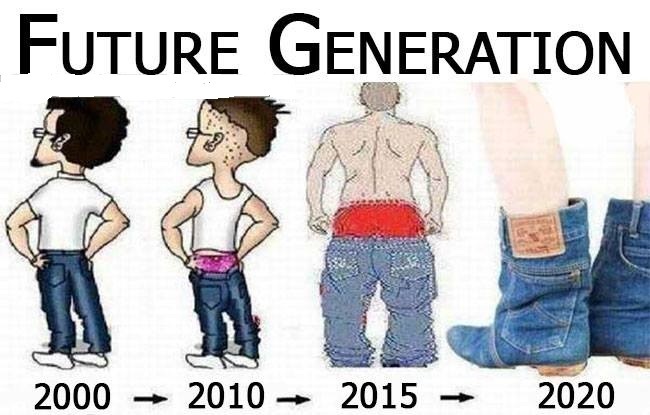 - They just have a lot of stuffs in their trousers which may tend to pull the trouser down while they are walking! So I asked if the belt doesn't come in different adjustments? - They probably bought new and cool boxers or belt and want to share it with the world! Really? must it be sampled from your waist? - They must have come across a huge bonanza sales and couldn't ignore it so they had to grab the trouser even if its three times their size! or they received it from someone who didn't bother to check and double check their size, and they couldn’t refuse accepting and wearing them! Worse still, they may have lost a lot of weight and therefore it doesn’t fit properly anymore and constantly fall down while walking! SMH, what happened to all the tailors in town? I guess trousers can be reshaped too? He gave a lot of other reasons which I really can't remember! And I couldn't stop gaping because they sounded funny! To me, the idea of sagging trousers is so not cool..! But, am not preventing anyone from walking down the street in a funny way like i see them do! While sagging your trousers, your walking step automatically changes and you end up walking like you have dirt on one side of your leg and wouldn't want it to rub on the other leg! I still wonder if they look at themselves while walking to know how awkward they look! A lot of people have talked about it but no one seems to be listening! Lol. Their steps are Something else! Most times, I think they have sh*t in their pants! sagging is cool! wont mind my boo sagging! Dudes need air flowing behind so don't blame them.. I'm glad that you just shawred this useful info with us. blog. Is it very hard to set up your owwn blog? I'm not very techincal buut I can figure things out pretty fast.